Are You Ready to Step Fully into Living Your Life’s Purpose? Would you like to find out how? The next stage of human awakening is within our grasp if we make ourselves ready to be all we can be. But such evolution only happens when we invest in our growth and open ourselves to continual learning. Join our community of outrageous lovers. There are many ways to participate and become involved with the Center for Integral Wisdom. 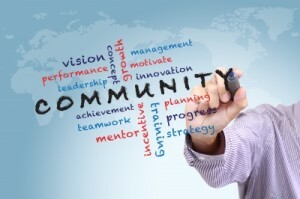 There are many Events throughout the year where you can become part of our Live Community. You can Get Involved on so many levels, as a Scholar, Project Leader, or Board Member. The easiest way to get started is through our Virtual Community of Practitioners–both through our Online Courses as well as our different Membership Levels. Many participants of our Online Courses have reported on their intense experience of genuine community through participating in the Live Calls and the Online Forums that accompany most of our Live Online Courses as well as the recorded Evergreen Courses that we offer. We want you to become involved with the Center and our awesome Community of Outrageous Lovers. That’s why we offer a series of pathways that give you access to increasingly deeper and deeper material and enable you to actively participate in this exciting Sangha for a longer period of time. A lot of our content is simply open for you to enjoy and dive in right away. This material gives you a good picture of who we are and what the Center is all about, so you can make up your mind and decide whether you want to get a little closer. We offer you access to literally thousands of Media & Publications in all our different portals and sites including hundreds of Thought Leader Dialogues, phantastic Audios and Videos, as well as longer in-depths Articles, White Papers, and Book Excerpts. We at the Center for Integral Wisdom offer cutting-edge courses designed to meet this moment by leading you forward on your journey. Our courses, workshops, and seminars have been designed to advance the evolution of Love in you, as you, and through you. 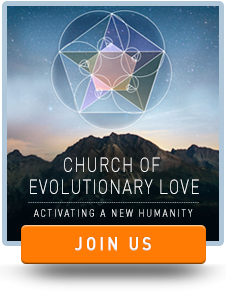 This is the place for learning how to actualize your Unique Self, bring a World Spirituality online, and become an Outrageous Lover. Marc’ s teaching on Unique Self is radically transformative. As a long time spiritual seeker and integral practitioner, it has opened a whole new dimension of practice and learning for me. I feel empowered with a new level of commitment and inspiration to being and becoming who I am uniquely here to be and become, and – in Gafni’ s words – “to loving and healing that unique facet of the universe that only me can love and heal”. Thank you Marc for your direct transmission of this radically important teaching that feels alive and evolving in me, at the deepest of my heart of hearts. This is a warning (albeit joyful) for anyone considering this course in the future. I confess that, as a designer and presenter of courses myself, I started with a plan to be a casual observer and with low expectations for a “by phone”, large group course. To my surprise and delight, the oh-so-rich content and artful presentation touched me and drew me in. The Wednesday calls soon became a priority. The phone technology even smoothly allowed us to work in dyads and triads with students all over the world. The weekly “extra” material on the portal was gold–it let me catch up on any missed sessions and guided my weekly practicing. A profound thanks for such excellence. Thank you for your gift of outrageous love the past 10 weeks. Your teachings opened up my heart and empowered me to see and be my Unique gift and contribution to the world — I always thought myself as non-conformant with a twinge of guilt, but did things my way proudly anyway. It will take me many, many times to listen again and again to fully understand and apply everything you have covered. But what I absorbed, helped me understand the process of evolution and liberated me to be my Unique Self and to love outrageously. Thank you for everything. Thank you Marc, for the passion, enthusiasm and generosity shared during your teaching. I feel seen and embraced by this community like I haven’t been for a long time. My heart is slowly melting, opening up a space for my Unique Self to shine. It is the beginning of a journey, and the most exciting one…Thank you, thank you, thank you! Awakening Your Unique Self has been a powerfully transformative course. Being reminded that I had forgotten feels like the first step on the road to remembering. While I still do not remember, at least now I remember that I forgot. Also there were so many powerful practices and processes that we learned that help to shed light into the darkness that surround that memory that wanting to be alive is beginning to feel like a more real possibility. Thank you Dr. Gafni and the whole wonderful Awakening Your Unique Self course community. I obey the deep yearning to express my heart-felt gratitude for the transformations in consciousness that occurred during the ten week course “Awakening to your Uniques Self” of the great master of Kabbala, Marc Gafni. A process has started in which the Uniqueness of my deepest Self revealed itself in awe and wonder, in a holding environment of an evolving community of like-minded individuals. Evolutionary growth and wisdom is what we shared, in great joy, with one another.rnI studied with many teachers before, but I never met anyone who more skillfully addressed both the psychological and spiritual nature of our being. It has been an honor and a privilege to study with Marc Gafni. In order to fully digest the richness of what has been given to us, I intend to expose myself to these teachings again! In deep gratitude I bow to our beloved teacher! Everything about Unique Self is Unique. The teaching, the portal and the community of support and love. Often “Courses” on-line or in person fade after the conclusion, but with Awakening Your Unique Self it grows day after day. The wonder in the manner of your delivery is exquisite. Your complete gift of story telling enriches every learning. I adore how you weave your transformative Hassidic teachings from the Baal Shem Tov into your teachings without making this a journey of religion but a journey of true spiritual enlightenment. rnrnrnI have witnessed my growth over the last ten weeks in a very profound manner. The understanding of Unique Obligation has transformed my thinking, ethics, beliefs and behavior. It is beyond profound! The content you so generously share with the community is powerful in the reinforcement of your teachings, The videos and audios perfectly complement the journey. I feel a profound love for you Marc and a gratitude that will stay with me for the remainder of this lifetime. The superb content and rendering of the weekly lectures offered by Dr. Marc Gafni also were delightfully entertaining because concepts became alive through masterful storytelling. Though at times I found myself somewhat overwhelmed by the sheer volume and intricacy of the material at the same time I was utterly intrigued. From week to week the core practices and assignments effectively guided us into the inner work needed to obtain greater effectiveness in the outer world. The proof really is in the pudding because now that the ten week course is coming to the end, I see and feel so clearly how I can more powerfully serve the world around me — family, community, and also the world at large. Thank you Marc and staff! My life long search has finally found its full sense, sense that I now can and do fully and comfortably embrace. My “I” and “we” are together. My “I” includes “we” inside of me. I can look at the whole world, the whole world can look at me. One Kiss. The online Web-Community was one of the best parts of the course, and a great joy to see others like me, others who thought like me and who were commited to the spiritual path. I used this resource, sure, and gained great Soul strength from interacting and sharing with others, but I could’ve used it even more. For, as Marc Gafni likes to point out, self-help is about what I can get out of something, but Transformation is about what I can put in. The Unique Self course and teaching is helping me not just with the motivation to put in all I can, but has given me the clarity and precision to see just where I can. 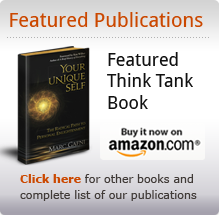 Dr. Marc Gafni’s Unique Self teachings are the most profound, all embracing and powerfully transforming that I have encountered in a lifetime of intellectual and spiritual exploration East and West! Their evolutionary potency is awesome. I see them as being nothing less than a Divine transmission, a gift of Grace, emerging in our time to assist in the radical transformation of consciousness so urgently needed if we are to avert planetary catastrophe. As for Marc himself, his humour, his intellect, his scholarship, his spiritual authenticity and, above all, his fulsome embodiment of the love that is the driving force of evolution make him a living treasure and a delightful teacher. Dear Dr. Marc Gafni, Your teachings are to me the shifting point I was looking for for a long time. The Unique Self Teachings really are not only the integration of old spiritual wisdom and modern psychology, but also the “missing link” to the possibility of mass-enlightenment – the much needed democratization of enlightenment. Your fierce love for teaching and your deep joy and enthusiasm to share your insights shine through every word of the live transmissions. I felt deeply graced by your tenderness and your clear perception of everyone in this course and on the portal. The richness of the material provided in this course seems to be neverending – whenever I listen to one of the livecalls again, or read one of the texts again, I discover new and even deeper insights. I can’t really express in words how touched and thankful I am – you brought to my life no less than the re-connection with the Source and with my innermost, real Self. You showed me the way to let my love flow unconditionally, which means the chance to really live my life in its full meaning and potential. And you brought together all these wonderful, lovely, warmhearted, amazing people on the portal! An international Sangha! Wow, thank you! And warm thanks to everyone of the team, it was (and is) perfect!